Aussie Electrical and Solar has emerged as one of the most versatile and smart players in the electrical field, providing outstanding electrical installation, repair and maintenance solution in both residential and commercial premises. Operating in the domain for more than 10 years, we provide accurate services focusing on every aspect of problem and solution. Technology plays an integral part in our services and it enables us to carry out each and every electrical work with maximum satisfaction. Owing to our personalized approach and transparent business deals, we have established ourselves as the best electrician in Northcote. Supported by a team of licensed and competent electrician, we are capable of undertaking electrical work of any complication and can execute them within the time specified by the customers. We provide a wide range of electrical service that include repair & upgrade of electrical systems, cabling, wiring, installation of security system etc. We are a dedicated organization, committed towards serving our clients all 24/7. We believe in affordability without sacrificing the quality of our electrical services. Few of electrical services which we do in Northcote. Aussie Electrical and Solar has the tools and expertise to tackle such situations. 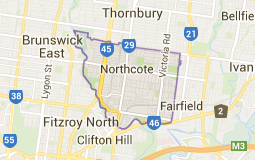 We work as a team of electrician contractors in Northcote and its surrounding areas. So, whenever you need a Northcote electrician, you can turn to Aussie Electrical and Solar for the simple reason that we see our customers as priority. Right from installation through to maintenance to repairs, our electrician Northcote services have all of your needs covered.